Data Protection by Design for Cross-Border Electronic Identification: Does the eIDAS Interoperability Framework Need to Be Modernised? 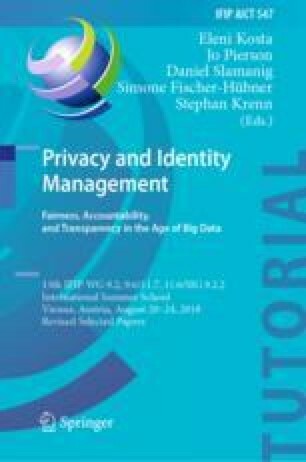 This paper contributes to the discussion on privacy preservation methods in the context of electronic identification (eID) across borders through interdisciplinary research. In particular, we evaluate how the GDPR principle of ‘Data Protection by Design’ applies to the processing of personal data undertaken for identification and authentication purposes, suggesting that, in some cases, unlinkable eIDs should be a key requirement in order to facilitate data minimisation and purpose limitation. We argue that in an attempt to welcome diverse types of architectures, the Interoperability Framework could have the effect of reducing the data protection level reached by some national eID schemes, when transacting with services that do not require unique identification. We consequently propose that data minimisation and purpose limitation principles should be facilitated through the implementation of two methods, pseudonymisation and selective disclosure, through an addition to eIDAS’ technical specifications. This research was partly funded by the Research Councils UK Digital Economy Programme, Web Science Doctoral Training Centre, University of Southampton, EP/L016117/1 and partly funded by the European Union’s Horizon 2020 research and innovation programme under grant agreement No 700542. The authors would like to thank the DG CONNECT, the DG DIGIT and the eIDAS Technical sub-group for their invaluable feedback during the review process of this paper. This paper reflects only the authors’ views; the Commission is not responsible for any use that may be made of the information it contains.